Question: what do you get if you cross an American rap artist with a digruntled Australian tour promoter and a song with the title 'We No Speak Americano'? Answer: a moral rights dispute. If you have been on the dance-floor in recent times as many times as this Kat has, it would have been virtually impossible for you to miss hearing 'We No Speak Americano'. 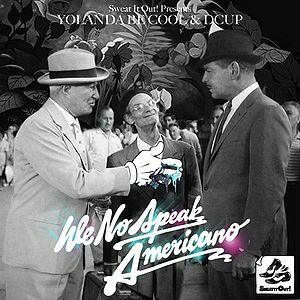 This ditty, released in February 2010, was created by Australian duo Yolanda Be Cool and producer DCUP by sampling the 1956 Italian song 'Tu vuò fà l'Americano' (by Renato Carosone). This release soared to No 1 in the charts in many discerning nations and featured prominently in a number of Best Songs of 2010 lists. 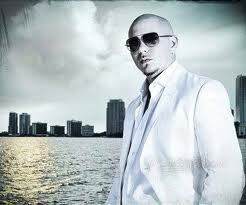 The combined song was further sampled in November 2010 by American rapper Armando Perez (stage name 'Pitbull') for the Spanish-language track'Bon Bon' in his fifth studio album, Armando (the 'Bon Bon Song'). Jamie Fernandez is a prominent DJ and live music promoter in Perth, Western Australia. Fernandez goes by the name DJ Suave and operates a website at http://www.suaveproductions.com.au/ (the 'Suave Website').Pitbull Perez was due to come to Australia to perform a series of concerts in December 2008 which were to be promoted by Mr Fernandez and another promoter. In preparation for those concerts, Perez performed the words 'Mr 305 and I am putting it down with DJ Suave' on a promotional recording known as an 'Audio Drop'. 'Mr 305' was a reference to Perez which would have been understood by the Pitbull's fans. The concerts, which never took place, are currently subject to breach of contract proceedings in the New South Wales Supreme Court. Fernandez obtained a copy of a the Bon Bon Song from the 'Armando' album before it was released in Australia, courtesy of a friend who resided in Chile. 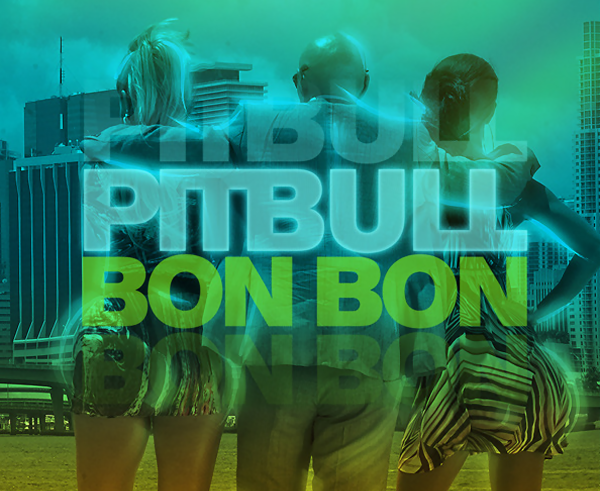 Using audio editing software, Fernandez made a digital copy of the Bon Bon Song and altered it with the result that the promiment opening to the Bon Bon Song (the Spanish words 'je, je, je, je, je, mira que tu estas rica') were deleted and replaced by the Audio Drop (the 'Mixed Bon Bon Version'). 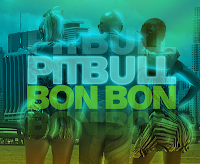 On or before 9 December 2010, Fernandez uploaded a copy of the Mixed Bon Bon Version on to the Suave Website. For approximately one month, whenever any person visited the Suave Website, the Mixed Bon Bon Version was immediately streamed through the visitor's computer. Fernandez also played the Mixed Bon Bon Version at public venues where he performed as a DJ. These acts appeared to be designed both (i) to avenge Fernandez’s grievances which arose from the failed Perez tour and the legal proceedings resulting from that failed tour, and (ii) to promote Fernandez. When he was made aware of the infringement by his solicitors, Fernandez did not simply remove the Mixed Bon Bon Version from the Suave Website, but instead replaced it with the Audio Drop alone. Eventually, he later also removed the Audio Drop from the Suave Website. Perez (and two corporate entities associated with him) commenced proceedings for infringement of copyright and moral rights in the sound recording and musical work comprised in the Bon Bon Song. The infringements involved Fernandez distorting the Bon Bon Song in a way to create the Mixed Bon Bon Version, which was said to be harmful to Perez's reputation, and then streaming that distorted version of the song from the Suave Website. The matter then came before Rolf Driver FM in the Federal Magistrates Court of Australia: Perez & Ors v Fernandez  FMCA 2 (10 February 2012). So what was the legal upshot? Driver FM found that Fernandez had infringed copyright in the Bon Bon Song by streaming it on the Suave Website and by publicly performing it without a licence. For these infringements, the Judge awarded (at ) compensatory damages on a licence fee basis. The Judge was not persuaded (at ) that Fernandez’s conduct in this regard warranted an award of additional damages under section 115(4) of the Copyright Act 1968 ('the Act'). In reaching this conclusion, Driver FM took into consideration the fact that Perez's claim for compensation for moral rights infringements covered the same field as would an award of additional damages. (b) the doing of anything else in relation to the work that is prejudicial to the author's honour or reputation'. On qualifying element (a), Driver FM found (at ) that the change made to the song by Fernandez must be regarded as a material 'distortion' or 'alteration' (if not a 'mutilation') of the Bon Bon Song. On qualifying element (b), Driver FM found (at  to ) that the Mixed Bon Bon Version was prejudicial to Perez's honour and reputation for two reasons. First, given that the Bon Bon Song had only recently been released in the United States, and not in Australia at the time of the publication of the Mixed Bon Bon Song on the Suave Website, there will have been a class of listeners who, upon listening the Mixed Bon Bon Version for the first time through the Suave Website, would have presumed that the altered section formed part of the authentic, original Bon Bon Song. Secondly, for Driver FM, there would have been an alternative class of listeners who were more intimately aware of both Perez’s music and Fernandez, the circumstances of the failed Australian tour, and the fact that Fernandez was suing Perez in the NSW Supreme Court in relation to it. Listeners in this class would know the significance of Perez’s associations as an artist, and would understand the alterations to the song made by Fernandez to be mocking Perez’s reputation. Driver FM further found (at ) that the defence of reasonableness under section 195AS of the Act was not available to Fernandez to excuse his conduct. In reaching this conclusion, the Judge relied on (a) the nature of the work, which is one existing in a genre in which associations between artists is of considerable significance; (b) the purpose for which the work was used, which in this case was to either promote Fernandez for his own benefit, or to mock Perez as an act of retribution; and (c) the manner and context, which in this case includes the fact that the work was streamed from Fernandez’s own website, and the existing relationship between the parties. On the issue of damages, Perez submitted that the Court should have regard to the need to compensate him for the distress caused to him as an artist both at the time of the infringement, the conduct of Fernandez since that time, including the ongoing campaign which is said to be being waged by Fernandez, and the need to provide vindication to Perez as an artist. In this regard, Perez sought AU$35,000 for the harm to his reputation and AU$50,000 aggravated damages for distress. For Driver FM (at ), these sums considerably overstated Perez's case, trespasses into matters more appropriate to be dealt with in the NSW Supreme Court proceedings, and gives no acknowledgment of Fernandez’s concessions, undertakings and apology. The Judge further did not accept that Perez’s reputation had suffered any lasting damage: his moral rights were infringed in circumstances which caused him distress, and which were serious, but Fernandez ultimately saw the error of his ways and appropriately gave undertakings and an apology, however grudgingly. Accordingly, Driver FM decided that an appropriate award of damages for the infringement of Perez’s moral rights was AU$10,000. 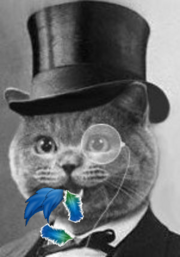 The IPKat admires the down-to-earth way in which Australian courts deal with trifling little things like reputations and feelings, which we Europeans are often so squeamish about. Merpel looks forward to hearing how the breach of contract proceedings will go. 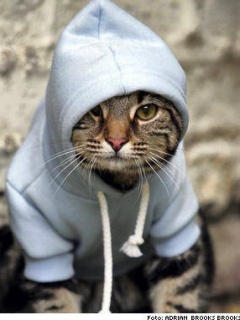 Will Perez face the music and take the rap ...? 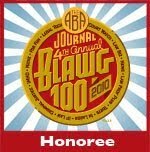 One in the eye for Pfizer glaucoma patent policy? So, confidentially, what DO you think of WIPO? SOS -- can you hear the ducks?